Comedian duo Hannya recently guested TV Asahi's "Shikujiri Sensei Ore Mitai ni Naruna!! 2-jikan Special" on April 4th. During the show, Akiyoshi Kawashima revealed he was diagnosed with kidney cancer in November of 2014. The cancer was removed at the end of 2014 and the surgery was a success. He quickly recovered and returned to work the next month. 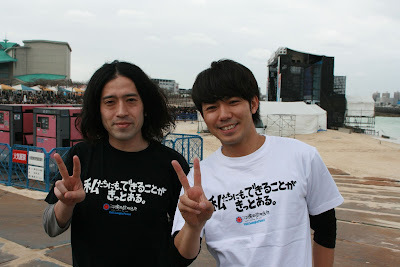 Satoshi Kanada commented over his partner's return, "I was so relieved I couldn't stop smiling". Kawashima also spoke about his wife, who was pregnant at the time. Apparently his wife encouraged him, saying the "baby found the cancer".